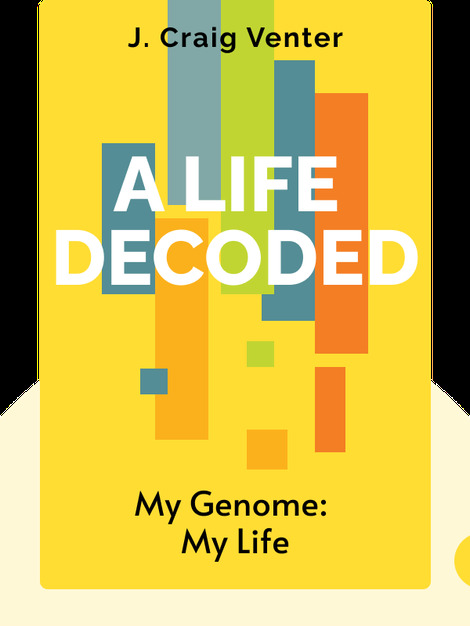 A Life Decoded (2007) is the autobiography of the prominent American biochemist and geneticist Craig Venter, who played a key role in one of the greatest scientific achievements of our time – the deciphering of the human genetic code. These blinks describe the personal experiences that drove his scientific research, even at times when his methods were attacked by the scientific community. J. Craig Venter is a biochemist and geneticist, and is considered one of the leading scientists of the twenty-first century. In 2001, Venter published the complete sequence of the human genome. He is the founder of Celera Genomics, The Institute for Genomic Research (TIGR) and the J. Craig Venter Institute (JCVI). 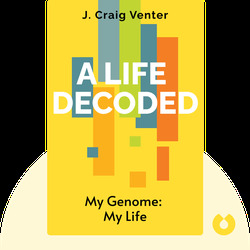 Venter is also the author of the book Life at the Speed of Light.